He feared rising crime, liked to gossip and got up to "wicked tricks" with his girlfriend. All very modern preoccupations, you may think. But Nathaniel Bryceson was a Victorian, and his diary has just been published online, explains Ed Argar of Westminster Council. When Nathaniel Bryceson wrote his diary in 1846 at the age of 19, he had no way of knowing that more than 160 years later it would be published online for the world to see. 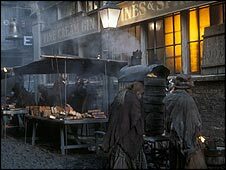 By all accounts Bryceson led a fairly unremarkable life - he certainly wasn't rich or famous but his simple yet fascinating descriptions of Victorian London offer a historically important glimpse into British society in the 19th Century in what was for many a great period of change. While much like the modern blogger, his observations of every day life passing comment on everything from the weather, politics and the royal family will undoubtedly resonate with many of today's readers. It is for these reasons that staff and volunteers from Westminster City Council's archives department have transcribed the manuscript's 260 entries as part of a project to make them available to the wider public. Bryceson was born in St Marylebone on 5 June 1826 to a working-class family. In 1846, aged 19, he lived in Richmond Buildings, Soho, and worked as a clerk at Lea's coal wharf in Pimlico, earning 20 shillings a week. As with many of us today, Bryceson liked to follow the news headlines including the First Anglo-Sikh War in India, Parliamentary debates on the Corn Laws and Lord John Russell replacing Sir Robert Peel as prime minister. 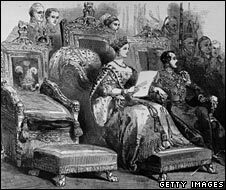 On 22 January, he witnessed Queen Victoria as she made her way to open the Houses of Parliament. Then, as now, the royals were a ripe target for gossips everywhere. "Saw the carriages, including the State one preceded by about six others, proceed from the Royal Mews to the Palace, altogether presenting a very gaudy sight, so covered with gilded ornaments," he wrote. "In my opinion a procession of aged parish paupers and almshouse inmates would make a much more pleasing sight." A month later, Bryceson commented on the wintry conditions which, like the current cold snap, had gripped a swathe of London. "Fall of snow during the night, which gave the Mall, St James's Park, a very grand appearance, owing to the tree having through the late mild weather, come out in full bloom - the snow sticking so thick to the leaves," he wrote. "Generally in winter the branches are bare but this morning they looked like a hearse of white funeral feathers." Elsewhere, much of the diary is focused on Bryceson's girlfriend, Ann Fox. On 22 February, the pair took a walk over Primrose Hill and Hampstead Heath. "Rain fell in torrents, rather wetted," he wrote. "Ann got very wet, self fared better... Sheltered ourselves under arch. Got to wicked tricks." Crime was a major concern during Bryceson's time, but it will come as a surprise to many that public executions in Britain were still taking place as late as the 1840s. And with the absence of mass modern-day entertainment - the earliest black and white films were still 50 years away - hangings were a popular if gruesome spectacle with the public. On 5 January, Bryceson described the public hanging of a young woman. "Martha Browning expiated her crime on the scaffold in the Old Bailey, for the murder of Elizabeth Mundell on the 1st of December last," Mr Bryceson wrote. "The culprit showed great presence of mind on the occasion and ascended the gallows with a firm and steady step, and without any assistance. The body was cut down at 9 o'clock." Bryceson eventually became a successful accountant, married Sarah Clark in 1854 and had a daughter and three sons. He died in 1911, aged 85, in Mile End, east London. Despite the passage of time and the huge advances in technology, his diary shows that human nature has remained fairly constant over the years - people are still interested in many of the same issues that Victorians were in their day. By putting Bryceson's diary online (see internet links, right) we hope to not only inspire people's interest in history but to also provide a captivating window into Victorian society and the trials and tribulations of a young man as he makes his way through life.